In the case of Cruz v. The Midwives & Assoc., Inc., No. 2017-C-3103 (C.P. Leh. Co. Dec. 3, 2018 Johnson, J. ), the court ruled that the Defendants were not entitled to open a default judgment where their failure to timely file a responsive pleading was not excusable. In this matter, after the filing and service of a Writ of Summons and a Complaint, the Defendants failed to file a responsive pleading. The Plaintiff then issued a 10-Day Notice of Intent to Enter a Default and, when the Defendant did not file any pleading, the Plaintiff entered a default judgment. The court noted that the Defendant did not file a Petition to Open a Default Judgment until twelve (12) days later. The court noted that, under Pa.R.C.P. 237.3(b)(2), if a Petition to Open a Default Judgment is filed within ten (10) days after the entry of the default judgment, the court “shall” open the judgment if the proposed Answer states a meritorious defense. Where, as here, a Petition to Open a Default Judgment is filed more than ten (10) days after the entry of a default judgment, the court will only exercise its discretion to open the judgment if (1) the petition has been promptly filed, (2) a meritorious defense has been shown, and (3) the failure to appear or respond can be excused. Here, the court found that Defendants’ Petition to Open the Judgment was promptly filed and that a meritorious defense had been stated. However, the court determined that the Defendants’ failure to file an Answer could be not excused under the circumstances presented. Here, the Defendant admitted that they were aware that they were not covered by insurance at the time of the subject incident such that the Defendant knew that no insurance company would provide it with an attorney. 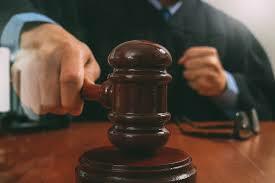 The court also noted that the Defendant did not take any action even after receiving the 10-Day Notice. It was indicated that the Defendants only sought out legal counsel after the default was entered. As such, the court found that the circumstances of this case did not amount to any mere oversight or an unintentional omission to act. Rather, the Defendants were found to have received multiple notices informing them of their obligation to participate in the case and the consequences for failing to do so. Despite these notices, the Defendants did not act or file an Answer to the Complaint. As there was no reasonable excuse or explanation provided by the Defendants for failing to respond to the Complaint, the court denied the Defendants’ Petition to Open the Default Judgment.